Get all the Route GPS map files and Save! 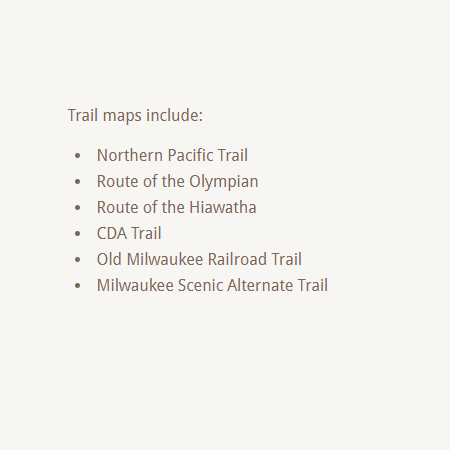 This digital product includes Avenza Map PDFs of all of the maps listed under the “Trails” section of this website. 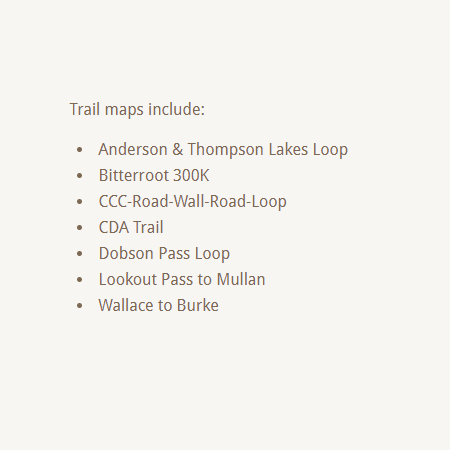 Get all the Trail GPS map files and Save! We are a non-profit organization dedicated to promoting the enjoyment of as well as the development and maintenance of the Trail of the Coeur d'Alenes.